A good sewing machine is needed to do quality things with their hands. To create simple products or to repair and fit the old machine, but for sewing fashion clothes the modern and powerful machine. Every seam needs to be smooth and beautiful, so choose a quality and reliable device. Pay attention to Electromechanical machine. This device is very easy to use, has a sufficient set of stitches. This sewing machine is easy to adjust using a special wheel or button, usually located on the front panel of the product. Look to the computer apparatus. Such machines are more powerful and functional because of embedded computer boards. In this sewing unit, you can adjust the seams and stitches. Moreover, depending on the type of fabric the program can select the desired needle and stitch. When working you can move the fabric in different directions. Buy computer sewing and embroidery machine, if you want to create a very beautiful and professionally sewn clothing. In such apparatus there is an extensive range of activities, types of loops, the tension setting of the upper and lower threads, and even embroidery schemes. 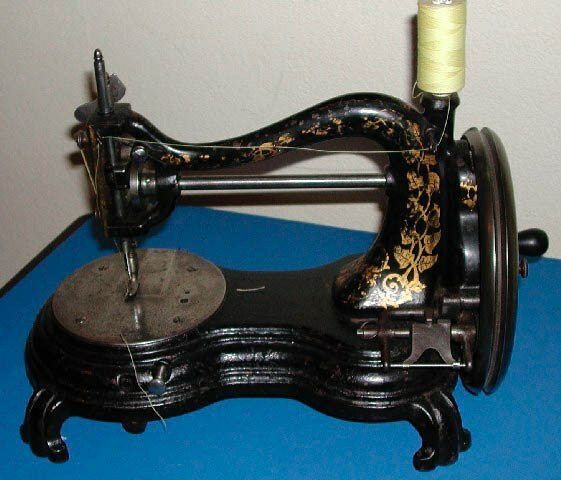 Moreover, the needle of this machine is movable, which allows you to create a variety of decorative stitches. Sewing and embroidery device can be connected to the computer and design their own patterns. Pick a serger. It is independent of the regular sewing machines, the device is able to significantly improve the quality of your sewn garment. Overlock is designed for cutting and processing of uneven and fraying the edges of the fabric. Ask about the characteristics of your favorite model cars. A large number of lines will simplify and enhance the opportunities for creativity. Buy that machinethat processes loop automatically or semi-automatically. The device, which has no such function, is very outdated. Note the sewing machine with a vertical hook. Canoe the most reliable, double obecanje prevents the tangling thread. It is desirable that the machine can be adjust the stress of the puncture. This opportunity will allow you to gently work equally with different kinds of fabric. Look at the height adjustment of the legs. The greater the mobility of the foot, the greater number of fabrics you will be able to work. What about the other mandatory functions of sewing machine: adjust the height of needle thread trimming, reverse, needle threader. These additional capabilities will greatly facilitate your work and allow you to sew more quickly and efficiently.